It makes sense to have your child's vision and hearing screened as soon as you get home. When infants adopted internationally turn out to have medical difficulties, those difficulties are often related to vision and hearing. The American Academy of Pediatrics recommends hearing screening for all newborns and an eye exam in the first six months of life. In institutions abroad, however, vision and hearing testing is not routinely carried out for infants. 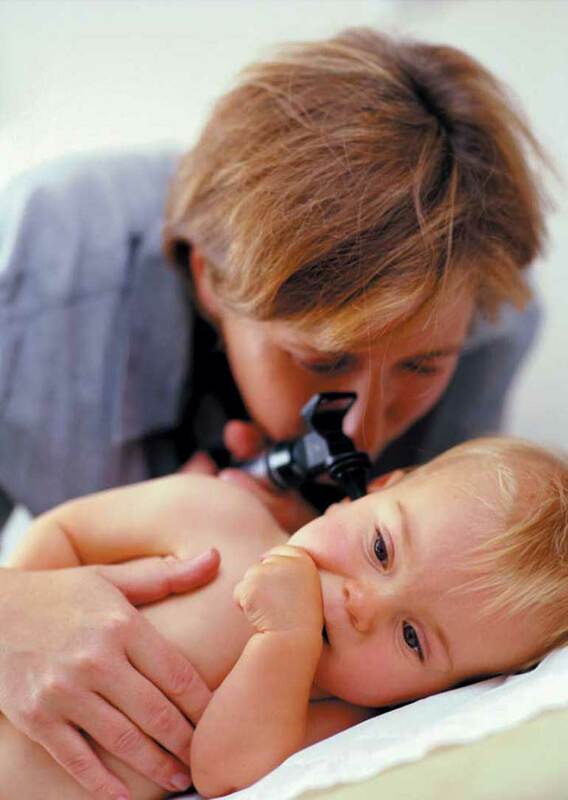 As a result, most adoption medical specialists recommend complete assessments of the senses after a child arrives home. Hearing assessment may rule out problems as potentially serious as congenital deafness. More often, something as ordinary as an infant’s untreated ear infection may put a child at risk for hearing losses, which in turn may impede speech, language, and cognitive development. Sometimes the solution can be as simple as draining the ear canal. An audiologist skilled in evaluating young children can screen for hearing even in a child too young to fully cooperate with hearing testing. In addition, if a problem is suspected, more detailed tests are available to assess the neurologic pathways essential to hearing. Children who’ve spent time in orphanages may be at higher risk for eye conditions such as infections or abnormalities in processing visual information. Andrei, adopted in Russia, seemed to have a “lazy eye,” a condition his mother feared might affect his ability to focus or read. She scheduled an appointment with a pediatric ophthalmologist as soon as they arrived in the U.S. Pediatric ophthalmologists can perform detailed eye examinations, including vision testing, even in infants. It is essential to screen for problems with vision and hearing early in order to diagnose and treat any problems that emerge. A simple operation to drain fluid from the ears, or fitting with glasses to improve vision, may be all that’s needed to enhance your child’s ability to receive and respond to cues in a new environment. How Do We Define Belonging? Make sure your infant or toddler is getting the care .. If there’s a possibility that the baby you are planning ..
"The baby we're adopting may have been exposed to drugs .. If you know nothing about the birth family's medical history, ..